Huge Clearance Sale! Everything must go to make room for new items! All Fabric is just $5/yard (minimum 1 yard cuts) the whole month of November! This is better than wholesale prices! 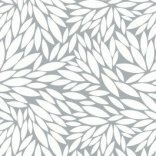 Books and Patterns are 50% off. Looking for backs for those Christmas projects? Now would be a great time to stock up and save! Its the season for giving! 5% of all all sales will go to the Circle of Light Foundation here in Chadron as part of matching dedication to the Billi Junge Fabric Fund. Make your purchase today to help those in need! Check out these new fabrics! 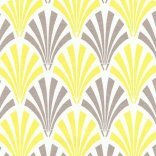 Grey and Yellow are a new trend in color combinations. Perfect for a sweet baby quilt! New Classroom coming to the studio! We are remodeling our classroom. It is my dream to have a clean, organized, classroom that will also allow for the hosting of get-togethers and parties. Follow me on my blog, Ta-da! Quilt Shop - Creative Ideas for Busy People, to see our remodel come to life! You will also find great craft, sewing, and studio organizational projects! Here is a sneak peek at some of my inspiriation photos! 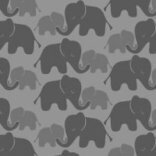 Billi Junge's Fabric - We have sold almost half of Billi's fabric and raised around $50 for the Circle of Light Foundation! So we are lowering the prices! Fabric will be $2/yard, Books $3, Patterns $2, and the scrap bin is now $.50 per peice! With the new fabric sale we look forward to adding more to our donation, so come in an check out what is left, what is new, and make a difference today! New Yarn! - We have new yarns! 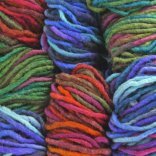 Bulky weight yarns for all your cozy winter projects. 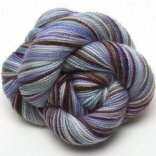 Handpainted yarns for socks, and new scarf yarns for easy Christams gifts! Don't forget our monthly Sit-and-Knit to be help at 10:30am on Saturday, November 23rd. It's FREE and open to anyone. Bring a project, bring a friend, or just come to learn something new! Featured Quilter - Don't forget to come in to see our featured quilter each month. This month, Phyllis Eitemiller will be our Featured Quilter. Inspiration can come in alot of different ways, and it is always great to be inspired by the work of others! You can also follow me on Pinterest as I create boards that are sure to inspire all quilters, seamstresses, crafters, and artists. Click on the Pinterest icon at the bottom of this page to follow me and find inspiration for your next project! Thanks for a wonderful month and I hope to see you all in the shop! Happy Thanksgiving! lick to visit Tada Quilt Shop!